Why Use Australian Outdoor Blinds for your Home? When you are thinking of your own living or working space, two of the most important factors (aside from the furniture and the flooring) are the ways that light and privacy can be controlled. That’s where installing Australian outdoor blinds come in. They can shape the intangible elements within a room or space that can determine the mood and tone for the people in it. Window coverings, classically, are thought to be curtains. Indeed, curtains can create an organic, integrated look with the rest of the room. Depending, too, on the material, various light effects can be done – and multiple layers assure you of even better control. On the other hand, blinds that are more modern, such as outdoor blinds, can create a more formal atmosphere – even if relaxed, there is the feeling of formality. Strangely enough, this can still be used effectively at home. In terms of style, window coverings can either unify all the style elements in the room, or it can create a “breakaway design” that can bring a softer – or harder – element, just to change the mood or to create a specific effect. One of the first things that window coverings affect is the amount of natural light in the room. For some people sunlight, when reflected or is too bright (like in the early mornings), can cause migraines. In other cases, too much natural light can affect what people read or are perusing on a computer screen, or it affects the entertainment value of watching something on an audio-video system. For some other people, the idea of controlling light helps them with creating a specific mood for a room, whether for formal meetings in an office or for family gatherings at home. If you’re using curtains, you can even soften the light, by using semi-translucent cloth. The effect is similar to a light diffuser: it removes glare but keeps a certain level of brightness. Heavier cloth can almost block out sunlight, giving something akin to mood lighting. 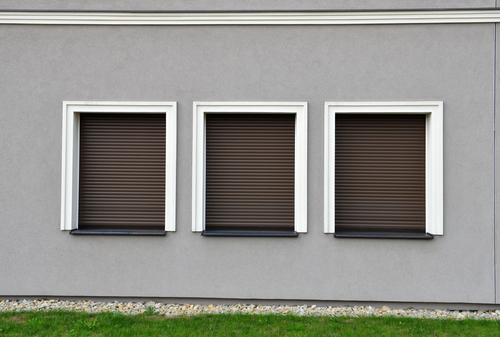 In the case of outdoor blinds, you should consider how the translucence and the slats (vertical or horizontal) could affect your surroundings. The big advantage of outdoor blinds is that there is a texture in the way the light patterns fall. Although technically, patterned curtains can do the same thing, with window blinds, the combination of light and dark creates a certain mix of hard and soft lighting. When dealing with privacy using Australian outdoor blinds, what most people look for is binary: either they can maintain total privacy, or they can “open up” an enclosed space when they want, for a warmer mood. In this sense, curtains may have the advantage, particularly if they are multi-layered, so that you can have a perfectly private area with all the curtains down, but you can just tie the outer drapes, to reveal a second set of semi-translucent, thin curtains, to let light in softly, without sacrificing privacy. However, the shift from total privacy to total openness is still best with blinds, as window blinds, when fully retracted, make it look like the windows themselves are bare, and this can give a different mood, depending on what is called for. To request a quote for Australian outdoor blinds and installation, you may reach us on 02 8858 0900 today.